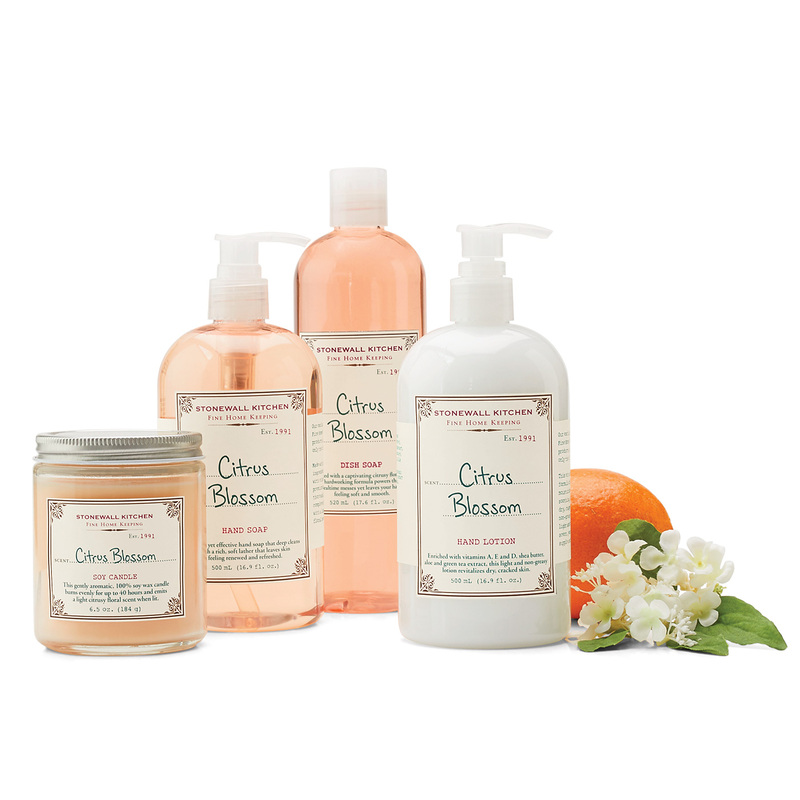 Our Citrus Blossom Collection delights with hints of Valencia orange, grapefruit, kumquat, jasmine and ginger. Made with only the finest ingredients and scented with essential oils, this line includes a plant-based, vitamin-rich hand soap, shea butter moisturizer, deep-cleaning detergent and pure soy wax candle. 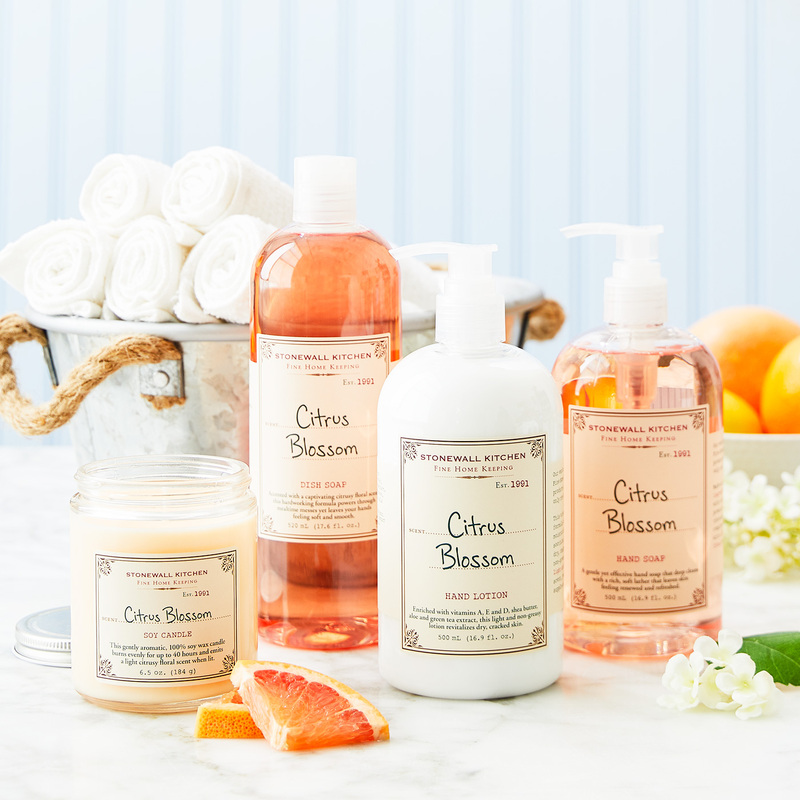 Use any of these products to make your home clean and hands soft while delivering a light fragrance that recalls a citrus orchard in bloom.